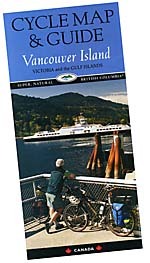 The Vancouver Island Map and Guide is now available! Look for it in your favourite tourist information racks. or ORDER ONE NOW! Victoria offers a wide array of accommodation from world renowned hotels and resorts to picturesque campgrounds and hostels. These are scattered at convenient intervals throughout the region allowing for easy cycling from one area to the next. -Equipment check-in or lockers for campgrounds, hostels or other accommodation where cyclists can secure belongings after they check out. Cycling near Lake Cowichan? Many roads and trails are at our doorstep. Outdoor pool, hot tub and bike storage included! Click here for more. Safe storage for bicycles, and comfortable beds after cycling in and around Victoria. Five minutes from the heart of town, in a quiet residential area near beach and parks. Click here for more. We Think Bikes Are People Too. We hate prejudice. Especially against something as beautiful as your bicycle. Why should it have to stay in a dark, unfriendly storage locker, while you sleep in one of our comfortable rooms? It’s just wrong. And, if your bike is both precious and valuable, you’d probably worry about it all night long. That’s not fair either. That’s why we’ve invented our Bike Love program. 30+ unique, individually operated, Tourism BC approved B&Bs and Inns in the Victoria area. Your visit to Vancouver Island should be a memorable one! Whether you dream of a cozy seaside cottage, an elegant Victorian mansion, or a peaceful country retreat, our unique bed and breakfasts offer a wide range of styles, scenery, and prices. All accommodations are Tourism BC approved and our hosts are dedicated to excellent personal service and warm hospitality. 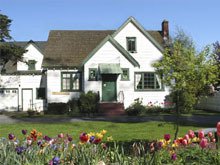 For the best stay on Canada's West Coast, we welcome you to stay at our "Best Bed and Breakfasts". All members belong to our provincial professional association, "The Western Canada Bed & Breakfast Innkeepers' Association". Canada's first in-house brewpub, featuring traditional pub food and an outdoor patio overlooking the harbour. Tours of the brew house are available. Open 7am - 11pm. “Victoria’s Ideal Location for Great Value”, near the Galloping Goose Trail and only minutes by car to downtown. Well appointed three diamond AAA rated hotel & conference centre. Offers 94 beautiful rooms, kitchen suites, large outdoor pool, restaurant, lounge & free parking. If you are planning a visit to Victoria, consider a comfortable stay at The Carlton Plaza Hotel. Our friendly and efficient staff will ensure your stay is enjoyable. For information on group bookings, general information or special arrangements you may require. The Chateau Victoria Hotel is a Four Star Canada Select Hotel. A premier Vancouver Island accommodation. 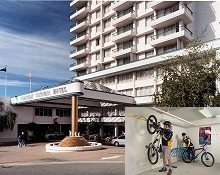 The Chateau Victoria Hotel is located downtown across the street from the Victoria Conference Centre, and steps to Victoria's inner harbour, shops, and attractions. The personal touch....Still our tradition"
Safe storage for bicycles, and comfortable beds after cycling in and around Victoria. Five minutes from the heart of town, in a quiet residential area near beach and parks. Hot tub for the weary! Japanese and English spoken, Japanese breakfast available. The Strathcona Hotel is located in the heart of beautiful Victoria BC amid the splendor of the Pacific Northwest. We can arrange world class golfing, whale watching, and city tours. Enjoy the sights and sounds of downtown attractions like the Royal Museum of British Columbia, live theater, and shopping just minutes from our door. Enjoy European ambience and world class hospitality in the finest downtown hotel. 181 comfortable guest rooms and suites. Fitness centre & whirlpool. Located across from the Victoria Conference Centre, one block from magnificent Inner Harbour, near shopping and popular tourist attractions. Facilities include: Caffe d'Amore for casual dining, Doubles Oyster Bar, Bartholomew's Bar & Rockefeller Grille and Barkley's Steakhouse for fine dining. Howard Johnson Hotel & Suites Victoria is always happy to serve you. Cycling near Lake Cowichan? Many roads and trails are at our doorstep. Outdoor pool, hot tub and bike storage included! 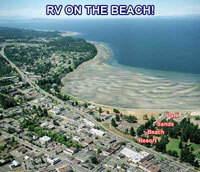 Park Sands Beach Resort is a quiet RV park/campground situated downtown, on the beach in Parksville. Located close to shopping (3 bike stores) and services at the junction of highways 19A and 4A. Laundry, showers, phone. Secure bike storage. 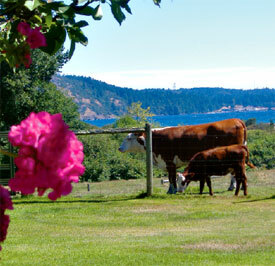 Seameadows Farm Bed & Breakfast is located mid Vancouver Island on Nanoose Bay. We are only a short 25 minute drive from the BC Ferries in Nanaimo. Howard Johnson Harbourside Hotel Nanaimo is always happy to serve you. Escape the city to one of Vancouver Island's best kept secrets. Located right on the Galloping Goose trail (at a place locally nicknamed "the view") in Metchosin, Swallow Hill Farm sits in a spectacular setting overlooking the Strait of Juan de Fuca and the Olympic Mountains of Washington State. Established in 1990, this B&B offers two private suites and several rate options from daily to weekly. 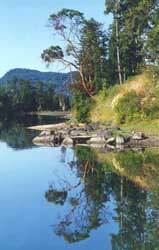 Cycle from downtown Victoria to the rural community of Sooke, on the scenic Galloping Goose Trail. Stay in one of twelve reasonably priced bed and breakfast style accommodations - all located within 10 minutes of the trail! After a cozy night's sleep, awaken refreshed to stay another day as you explore all Sooke has to offer you! Your hosts will be pleased to assist you with travel or adventure plans. There's ocean kayaking, salmon fishing, whale watching, hiking, swimming, gold panning and much, much more. Luxurious, romantic accommodation in beautiful Sooke, B.C., on the south coast of Vancouver Island. For delightful Vancouver Island accommodations tucked into a craggy bluff overlooking a secluded Sooke Harbour. Canada's Bed and Breakfast Web Server - Victoria, Vancouver Island and Gulf Islands section.